Do you feel like you could make more of the money you have? Are you in control of your spending? Do you even know exactly how much you really have to spend each month? I never really knew or cared. At least, some change gets caught in my change trap saving boxes. 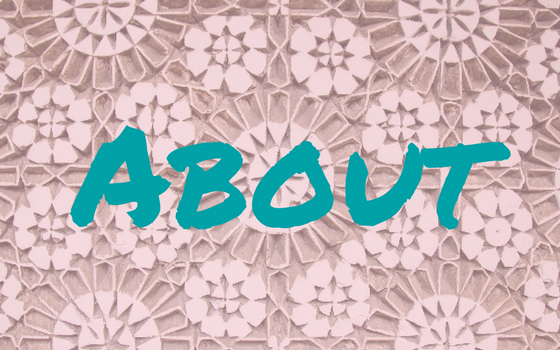 But I can tell you one thing from my experience: After I set up a basic monthly budget and started to monitor our ins and outs in financial ways at least basically we finally have a little bit on the plus side. For the first time ever. And it starts with the simplest Budget ever. Do you want some financial peace, too? Then try basic budgeting and don’t let your hard-earned money slip away. 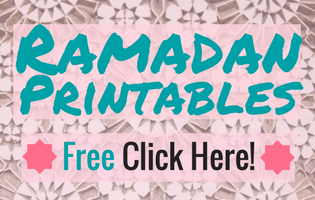 Find an easy free budget worksheet to get started below. Be sure to get your copy at the end of this post! Let’s see how to make a monthly budget in just 3 easy steps. Though I know from experience how beneficial budgeting even in a very basic form is I drop the ball once in a while. And every single time all money will inevitably be gone by the end of the month somehow. It seems to be some kind of magic if you ask me. So, obviously, you better tell your money where to go before it sneaks out of your home in the middle of the night. But what if you don’t want to sit down each month and figure out a perfect, super expert, sophisticated budget? 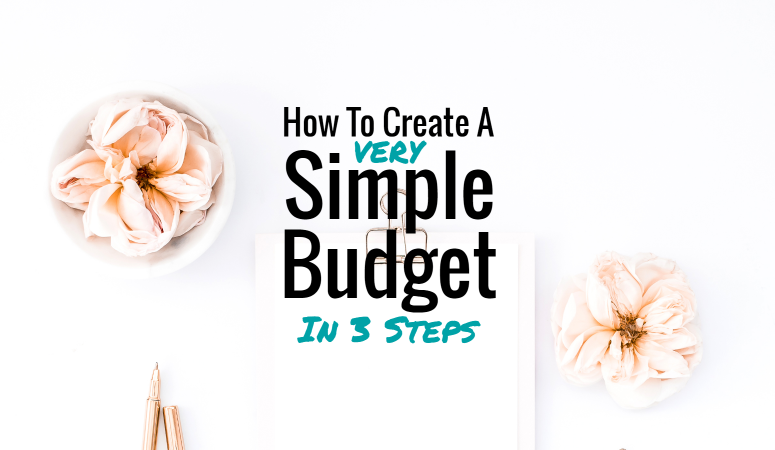 Just follow these basic steps to create a budget and you are good to go. Don’t panic I will walk you through these first steps of budgeting and provide a ready to use budget spreadsheet below. You will move forward a BIG step and build a strong foundation. Let’s dive in. First, start with what is coming in. You may have a good idea but no exact numbers when it comes to your family’s total income. But you can only live within your means and avoid debts if you know how much you can spend each month at most. You will also need to know these numbers when planning investments, saving plans and such. The list of income streams and amounts can be short and disheartening. I know it is to me. Face it. You really need to know to set up your monthly budget! 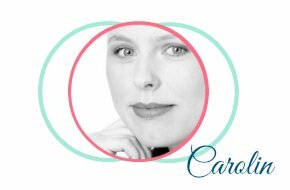 There are three Ins in my family: my husband’s salary, child benefit and my freelancer’s income if any. Period. Other income streams may be rental income, income from a business, retirement pay, other benefits than child benefits and more. You probably know what kind of income streams you have. Now all you need to figure out is how much they are exactly, when they are paid, and how much you make in one month. Important: Count Nets so you really know what you have in your hands to use. Make a list of net incomes, due dates, and amounts. Sum them up. Finished first step. Hurray! TOTAL Net Income: 2880 Dollar. Unfortunately, the list of outgoing money is usually a lot longer than the list of money that comes in. But again, we need to face it because we need to know to make a monthly budget work. It is happening anyway. But knowing your numbers will enable you to actively manage your finances. Next step is to determine the fixed costs so you know what remains to be spent. List all your family needs to pay in one month, the due dates, the way it is paid, and from which source if you are using more than one bank account. Sum everything up. It is easy to forget payments that are due yearly or quarterly. Make a separate list for them. Then, sum up everything. Split this sum up to a monthly amount and put this amount on a saving account each month so that you are prepared. -> Read this post for more detailed instructions: How To Stay On Top Of Yearly Payments You can download a yearly payment tracker from the resource library for subscribers. Sign up at the bottom of this post and grab your password. The family of my example has 830 Dollar left in one month for running costs like costs for food, personal care, transportation, clothes, etc., to donate or to put away into savings. That is 184 Dollar a week. It would make 26 Dollars a day but you better calculate on a weekly basis. If you want to find saving margin start tracking your family’s expenses in a household budget book or expanse tracker. Learn in this step-by-step guide for beginners how you setup a household budget book. But be careful to not make these 5 rookie mistakes that ruin your budget book. You can download a blank budget book template printable or digital spreadsheet in the resource library for subscribers. Sign up at the bottom of this post and grab your password to enter the library. If you need a little extra help coming up with the right categories for your family’s budget book this post is for you! 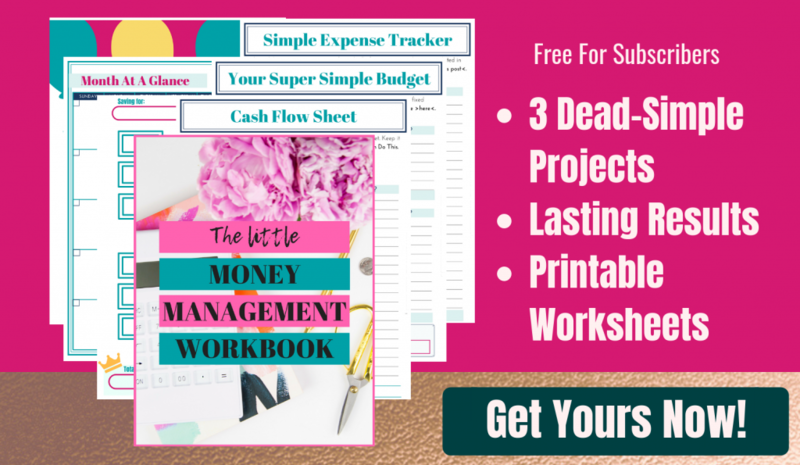 Use the budget book categories worksheet from the subscriber’s library or use the pre-filled monthly budget book printable. For now, you have it: The simplest Budget of all times that will help you start managing your finances like a boss. This is the fundamental calculation you will always need to stay ahead of your finances and move on. Once you put it together you will only have to keep it updated. But mind that it may take a couple of months to whip your basic budget into shape. This Budget may be simple but it is important. Now, go grab pen and paper or use this ready-made spreadsheet . Just save a copy for yourself and you are ready to create your simple family budget. (Create a copy in Google Drive: File – Make a copy – ok) Then you will enter your numbers, due dates and items replacing the pink numbers. The Totals will be calculated automatically. Add or remove rows if you need to. The spreadsheet will adjust. Do you like this post? Check out these 13 TOP personal finance Mom bloggers for more money wisdom for families! Did you find anything surprising in your brand-new mini-Budget? Next best step is to create a monthly cash flow sheet next week to monitor what will be going on with your money. 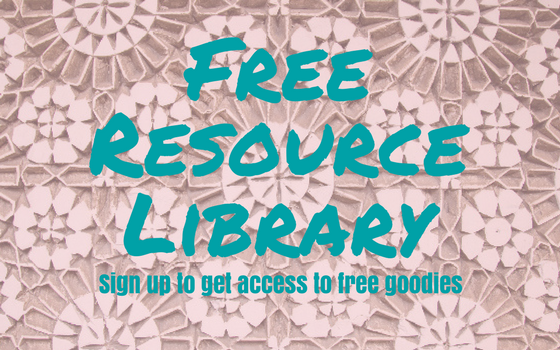 Please, subscribe to Mom’s Newsletter to get access to free printables, worksheets, and more in the subscriber exclusive library! How to create a Budget Book that Makes You a Finance Ninja. Full Guide! I absolutely love this article. I agree budgets do have to be kept simply or they will never work. I would also caution not to make the budget to strict and tight as then it will be less appealing and tougher to stick to consistently. Make your goals achievable and do not forget to reward yourself everyone once in a while. Nice article MOM! Yes, I agree that rewards are a great way to stay motivated in the long run.